High quality hotel rooms in the heart of the Peak District. 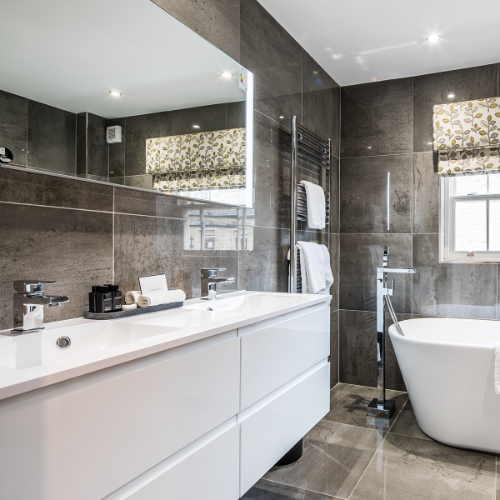 Decadent luxury centrally located in the idyllic town of Bakewell nestled in the heart of the Peak District. 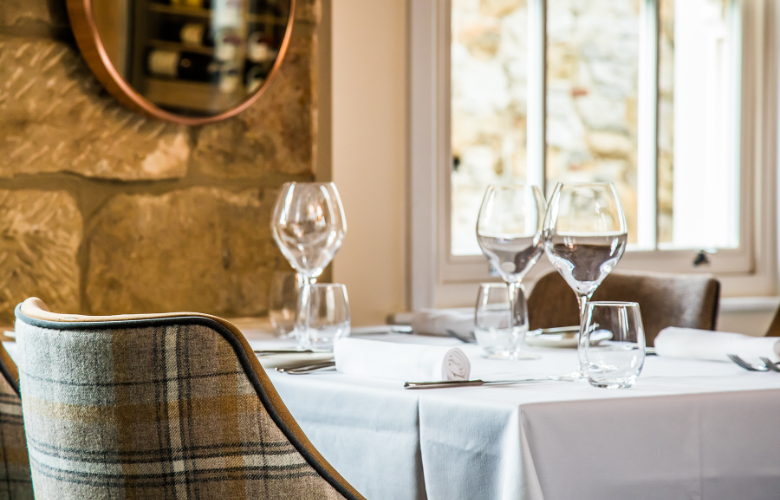 Ten indulgent suites, calmly decorated and fully equipped with every luxury and convenience alongside our fine dining restaurant serving the very best Peak District produce. 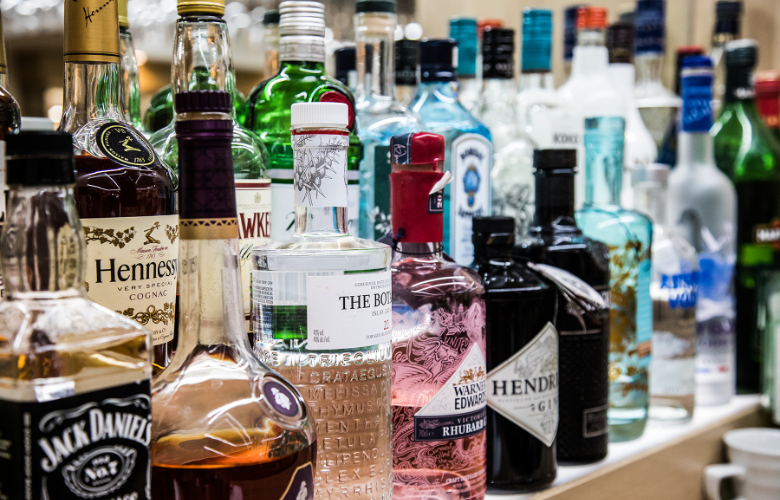 Our ground floor bar and lounge opens all day and offers a fine collection of wines, spirits, local beers. Our Pudding Parlour right next door plays host to an array of homemade cakes and goodies as well as producing the infamous Bakewell Pudding and Tart. 10 Beautiful boutique bedrooms all offering classic modern luxury with comfortable seating area. 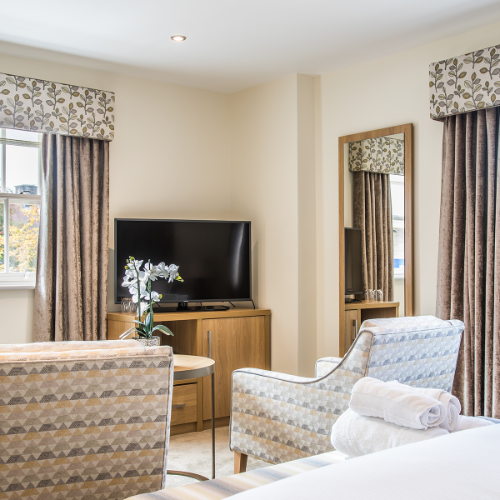 All rooms are named after Derbyshire towns & villages and all are beginning with H.
One room is fully accessible & DDA compliant. 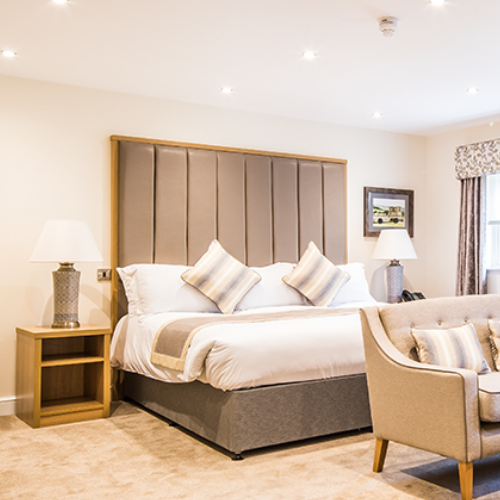 Our fully air conditioned rooms are graced with a sublime six-foot wide bed with the finest quality white cotton bedding and all with a luxury ensuite bathroom. Flat screen TV, Tea & Coffee facilities, Safe, Fridge, Iron & ironing board, Bathrobes & slippers.